I wonder if the ACCC would approve of those claims? Ingredients are meant to be listed in order of quantity. Isn’t it a bit embarrassing when they put more magic into their carrots than love? Dagoba organic chocolates used to list “love” as the final ingredient in their ingredient list. It made it a fun gift. Since the company was acquired by Hershey’s, they no longer list “love”. Having worked for global food companies, I suspect this maybe due to legal caution of a large corporation. 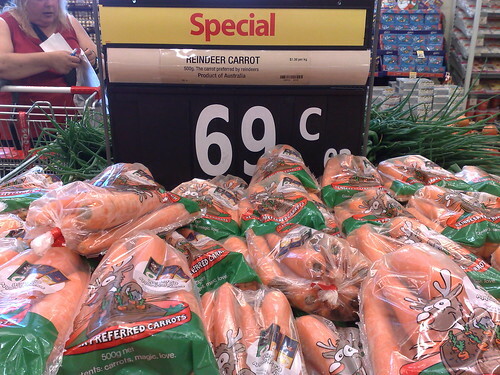 4 out of 5 reindeer surveyed preferred these carrots! Lots of carrots, some magic and only a little love. May contain peanuts. 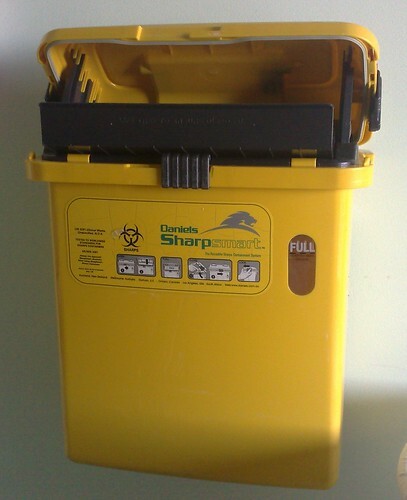 I wonder if on Jamaica the sharps containers are shaped like little voodoo dolls? Please remove the Clearspring flash tracker from your website. Melbourne people, particularly those who’ve travelled the new ring services, will know what I mean. Jagger — it’s the AddThis button. I’ll review my use of it, but in the meantime you might like to block addthis.com manually in your Hosts file or by other means.